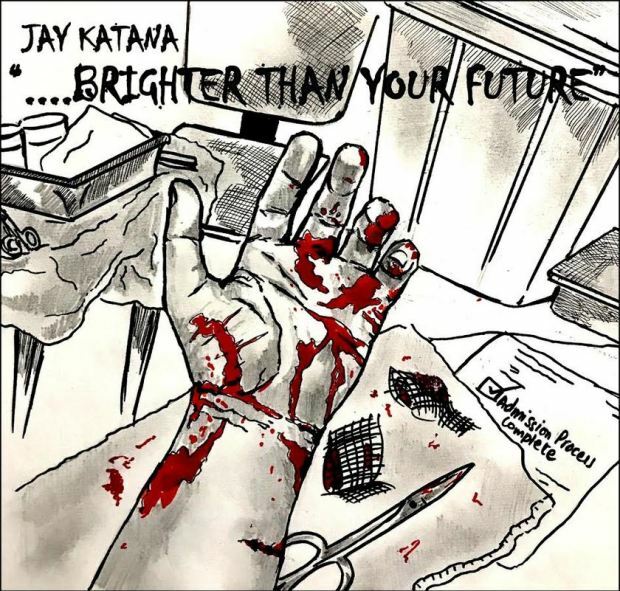 I just had the opportunity to review the most recent release, ...Brighter Than Your Future, from Jay Katana and it's classically electric. Opening with Bomfunk MC's, FreeStyler has a synthesizer platform and a eurometal guitar edge. Nice opener. 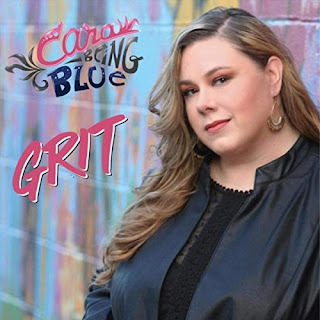 No Time 2b Sorry is an interesting mix of beat, metal and funk with tasty guitar riffs planted over an interesting drum riff. I Need You Now is a guitar ballad with an interesting melody and Steve Vai like spikes. Possibly the best track on the release. With a softer approach, When She Dies is mostly undistorted guitar riffing which is actually quite nice. Wrapping the release is K-Koda which has a full throttle metal bottom but with an irregular drum beat. 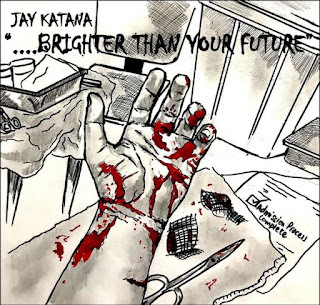 Katana has an interesting concept. Let's see what develops.